At the Mass General Cancer Center, we're dedicated to creating a brighter future for patients with cancer and their families. Please support our efforts by joining us for the Mass General Cancer Center Eversource Everyday Amazing Race on September 8, 2019! Participants can choose from a 5K walk, a 5K run and a kids' 100-yard dash. Support the Mass General Cancer Center with your friends and family. Make a donation to a friend or family member who is running or walking. 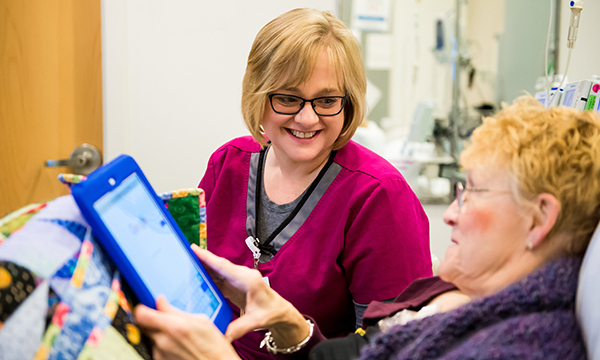 Funds raised support the Mass General Cancer Center, a leader in personalized medicine, early-detection technologies and innovative supportive care. Discoveries made at Mass General benefit cancer patients worldwide. The Race will take place along the Charles River in Boston, beginning and ending at the Hatch Shell on the Esplanade. A pancake breakfast presented by the Four Seasons Hotel Boston and a speaking program with our MCs Billy Costa and Jenny Johnson will follow. Join or create a team! Honor or support a loved one in their fight against cancer. 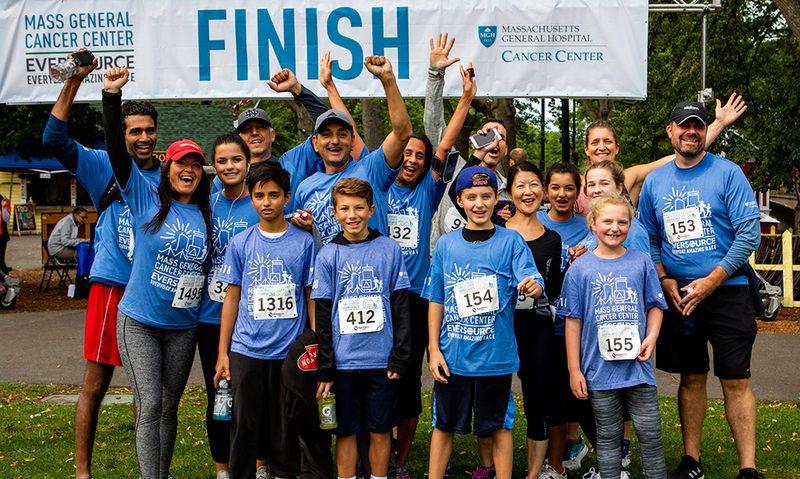 Run together with your family and friends to support the Mass General Cancer Center in our journey to provide a better future for patients with cancer. Use the search function to find your team or click here to create a new one. Become a sponsor today. Click on the sponsorship level below to view sponsorship package details and purchase. 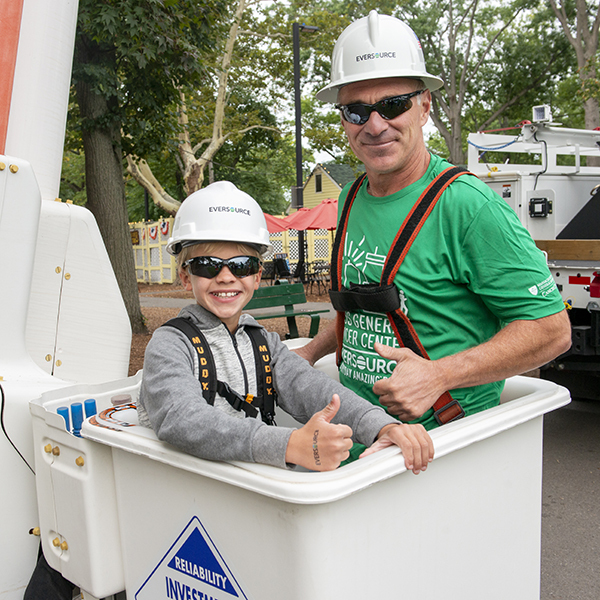 For more information on opportunities to support the Eversource Everyday Amazing Race, please contact us. 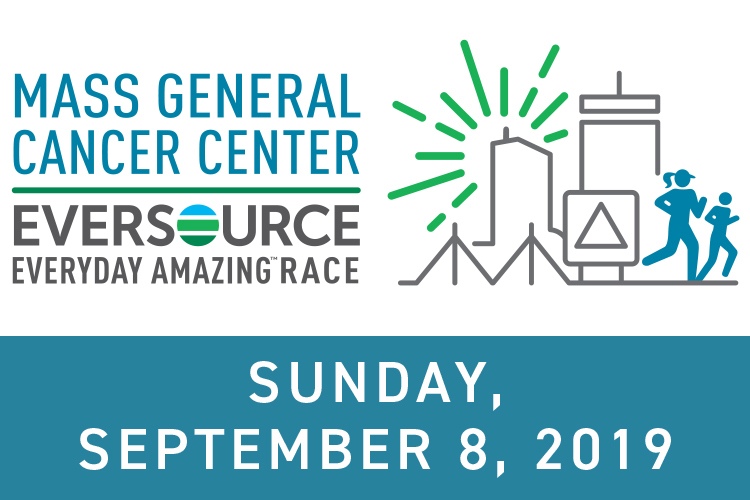 Please support our efforts by joining us for the Mass General Cancer Center Eversource Everyday Amazing Race on Sunday, September 8, 2019. You can sign up by registering on this page. Please contact us if you are having problems registering. Can I create or join a team? Yes, you can create a new team or join an existing team when you register. If you have any questions about creating or joining a team, please contact us. Yes, there is a registration fee of $50 for an individual participant. How much do I need to fundraise in order to participate? We are asking individuals to raise $500. This is a suggested goal but participants will be able to set their own goals while setting up their fundraising pages. If you have any questions about fundraising, please contact us. What if I don’t meet the suggested fundraising goal? Nothing! We appreciate your efforts and any amount you raise will help advance research and care at the Mass General Cancer Center. Is there a separate fee to participate in the Kids’ Dash? A $25 fee per child will apply for participation in the Kids' Dash. Is there an age requirement for the Kids’ Dash? Yes, the Kids’ Dash is open to all children age 8 and under. There is no minimum age requirement. Strollers may be used in the 5K Walk only. They are not permitted in the 5K Run or Kids’ Dash. I have questions about using my fundraising page or my fundraising dashboard. What can I do? If you have any questions or need any additional help, please contact us. Where should I park? Will my parking be validated? There are a variety of parking options in the Mass General Hospital and Hatch Shell areas. Parking will not be validated. Participants are encouraged to take public transportation. The Esplanade is a .5 mile walk from the Charles/MGH T station on the red line. Can I sign up on Race day? Yes, you can register onsite and continue fundraising after the completion of the event. My account email and password won't work. Please complete the recover password form and your information will be emailed to you. If you are having problems recovering your user name, please contact us. How do I submit an offline donation? We encourage all participants to solicit donations via their web pages for the fastest donation processing and most up to date totals. In the case of offline gifts, checks should be made payable to “Mass General Cancer Center” with "2019 Everyday Amazing Race" and the participant’s name in the memo field. Please mail offline gifts to: Keith Erickson/EAR Gifts Mass General Development Office, 125 Nashua Street, Suite 540, Boston, MA 02114. If you have question about offline donations, please contact us. Can I personalize a system generated thank you? Yes – to send a personalized thank you message to your donors just log in to your account and visit your dashboard. I made a donation and want to ensure it is credited to the correct runner/walker. You must visit the participant’s page directly or use the drop-down menu to locate the participant’s page to make a gift in support of a specific runner/walker. Any gift made on the participant’s personal fundraising page will be credited to that person. The gift should appear immediately. If you have any issues with a gift appearing on the participant’s page, please contact us. My company will match my gift; how do I start this process? Many companies match charitable gifts made by their employees, retirees and directors. Please consult your company’s human resources department to learn if your workplace matches gifts to hospitals and how you can request a matching gift. Your company will contact Mass General directly to confirm your gift. For more information about matching gifts, please contact us. Can I make a donation anonymously? Yes, you can choose to be anonymous when completing the online gift form. Yes. After selecting a donation amount, please check the box next to "I am making this gift in honor or memory of somebody" and fill out the tribute type and name.